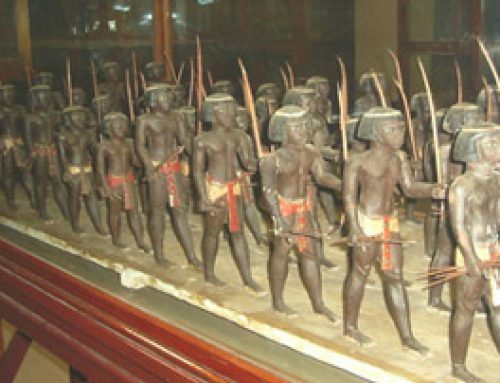 Nubian archers in the Middle Kingdom (from the Nubian museum in Aswan, Egypt). About 2000 BC. Mercenaries (MURR-sinn-air-eez) are paid volunteer soldiers: they are soldiers who are fighting as a job, not in order to save their country or for the glory of God. They only fight if they are paid, or for the booty they will get if they win. Often they will change sides if the other side offers more money. 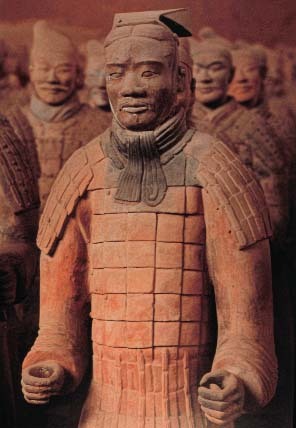 Many ancient and medieval governments hired mercenaries to fight their wars. Greek men seem to have been especially skilled mercenaries. We know that Greek men fought as mercenaries for the Egyptians and the Syrians as early as the Late Bronze Age, and other Greek men fought as mercenaries for the Egyptians against the Persians in the 500s and 400s BC. In the 300s, Greeks fought for the Persians, in a civil war. It’s likely that the Lydians first invented gold and silver money in order to pay mercenary soldiers who were fighting for them. 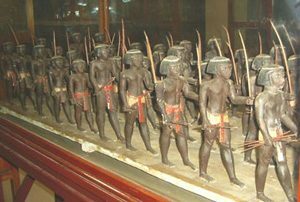 Egyptian pharaohs also hired many Nubian men from Sudan to fight for them as mercenaries. The Persians hired Arabs. 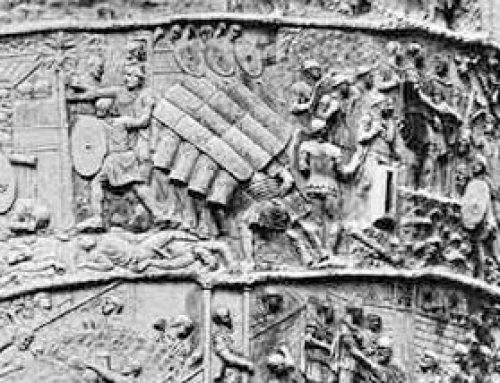 In the 300s AD, the Romans hired many Germans as mercenary soldiers, often paying them in land and a share of the taxes (though we don’t understand very well how this worked). 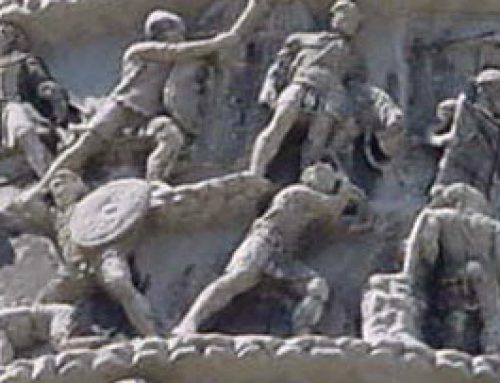 The Visigoths and the Ostrogoths both worked as mercenaries for the Romans. 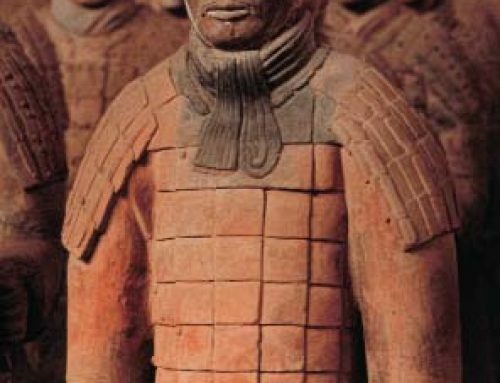 Chinese T’ang Dynasty emperors hired Sogdians as mercenaries too, leading to An Lushan‘s revolt. 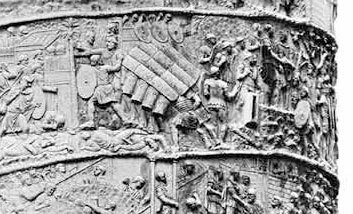 In the 600s AD, some Arabs worked as mercenaries for the Romans, and others worked for their enemies the Sassanians. 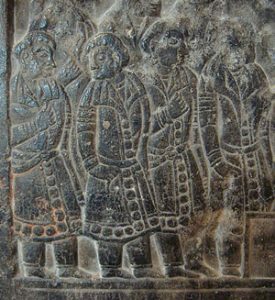 Once the Arabs had founded the Islamic empire, they too hired mercenaries: the Abbasid caliphs hired the Seljuk Turks as mercenaries. 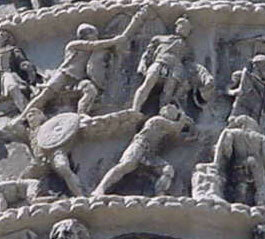 On the other side, the Byzantine Empire hired Vikings to fight for them. 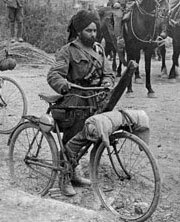 Medieval European kings also hired a lot of mercenaries, and then the British empire hired Sikhs as mercenaries in Northern India. Today there is less fighting than ever before, but even the United States army still hires contractors and subcontractors when there is a war. Cite this page: Carr, K.E. Mercenaries and military history. Quatr.us Study Guides, September 20, 2017. Web. April 25, 2019.